He is Associate Professor at RMIT and Senior Lecturer at Monash University. He is a Senior Consultant Neurologist at Monash Medical Centre and Frankston Hospital. He is assigned supervisor and mentor to RACP trainees. A/Prof Raghav has a special interest in Movement Disorders which include tremors, Parkinson’s Disease, Tics, Dystonia and Huntington’s Disease. In addition, he is involved in several research projects related to movement disorders at RMIT and Monash University. Several of his research papers and articles have been published in esteemed peer-reviewed medical journals and presented at National and International conferences. He is actively involved in teaching and training of Neurology Registrars and Fellows. He is also Therapeutic Director at the Yarra Valley Living Centre, home of The Gawler Cancer Foundation. The Foundation runs lifestyle medicine retreats for people living with cancer and multiple sclerosis as well as general meditation and preventative health retreats. A/Prof Raghav is a level 2 Yoga Teacher who has developed a special Yoga & Wellness program for Parkinson’s Patients and conducts weekly Yoga and mindfulness Classes. He is Visiting Professor at SVYASA Yoga University in Bengaluru, India. A/Prof Raghav has integrated Yoga, Mindfulness, Ayurveda and Naturopathy with mainstream medicine. He enjoys teaching patients and public how to enrich their lives with holistic living through a variety of workshops and seminars. Dr. Mina Ghaly FRACP is a highly qualified neurologist completed his neurology specialty training in Melbourne Hospitals. He is a General neurologist with special interest in Movements disorders. He is an active researcher in the field of Movement Disorders particularly, Parkinson’s disease. He has expertise in Tremor, Dystonia and Parkinson’s disease’s management including ‘Device Assisted Therapy’ such as Apomorphine, Duodopa and Deep Brain Stimulation. He sees patients with wide range of neurological conditions such as Stroke, Epilepsy, Headache, Multiple sclerosis, Neuropathy and Vertigo. 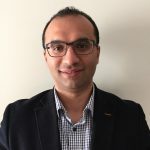 Dr. Ghaly is the Deep Brain Stimulation fellow at the Royal Melbourne Hospital and a Movement Disorders Neurologist at St Vincent’s Hospital. Also, he can offer consultation in Arabic. Dr. Ghaly is a member of Royal Australasian College of Physicians (RACP), Australian and New Zealand Association of Neurologists (ANZAN), American Academy of Neurology (AAN), International Parkinson’s Disease and Movement Disorders Society (IPMDS), Movement Disorders Society of Australia and New Zealand (MDSANZ) and The Australian and New Zealand Headache Society(ANZHS). Dr. Salar Mcmodie, MD FRACP, is Melbourne trained adult neurologist undertook his physician training and speciality neurology training in different Victorian hospitals, followed by fellowship year in movement disorders at The Alfred hospital. During his fellowship year at Alfred Hospital he was actively involved as researcher and sub-investigator in different multicentre clinical trials and research projects in movement disorders, in particular, Parkinson’s disease and PSP. Salar has a special interest in treatment and management of advanced Parkinson’s Disease, Tremor, Dystonia, spasticity, gait/balance problems and Botulinium toxin injection for treatment of movement disorders. Additionally, he sees patients with other neurological problems including headache, epilepsy, vertigo, neuropathy, stroke and multiple sclerosis. A compassionate physician, Dr.Mcmodie takes the time necessary to ensure each patient’s concerns are addressed and he takes a holistic approach to the care of his patients, especially in light of the interconnectedness of mind and brain, and how physical illness can have emotional consequences. He concerns himself not only with treating the physical illness, but also minimising its effect on a person’s social life, family and mental health. Salar holds a public appointment at Northern Hospital and is Fellow of Royal Australasian College of Physicians(RACP), Australia New Zealand association Neurologists(ANZAN) and member of American Academy of Neurology(AAN) and International Parkinson and movement disorder society(MDS). for consultation. He can consult patients in English, Farsi/Persian and Kurdish. A general Neurologist with equal interest in all aspects of adult neurology. Qualified as a neurologist in December 1984 in India and worked in a tertiary care centre attached to a medical college involved with patient care and teaching under and postgraduate medical graduates for next 10 years. Subsequent 10 years were in Dubai as a specialist Neurologist. In the year 2015 came to Traralgon, Gippsland as an area of need specialist in Neurology and has been in providing outpatient care through Gippsland private consulting suites at Traralgon and supporting medical team at Latrobe Regional Hospital as VMO. Degrees: MBBS, MD(Gen medicine) DM (Neurology), FRACP. Married to Dr. Gayathri and we have a son, Thejaswi. Hobby: painting portraits and landscapes. She is a graduate of Monash University. Her areas of interest are general neurology and movement disorders. She is also pursuing Ph.D.
Dr. Saman Gardiya Punchihewa Graduated from the University of Melbourne in 1999. He has a special interest in neurology and neurophysiology with an emphasis in electromyography, Nerve Conduction Studies, epilepsy and autonomic studies. Dr. Punchihewa enjoys cricket during his free time. He is graduated from the University of Melbourne in 1998 and has been with Dandenong Neurology for the past 3 years. He has Specialist qualifications in both Geriatrics and Neurology and sees patients referred with issues relating to General Neurology, Geriatric Medicine and Movement Disorders. Monash Medical Centre, Kingston Centre, Epworth Hospital and Cotham Private Hospital. FRACP, ANZAN, ANZSGM, RACP and AMA. Wajih has been extensively trained in Internal Medicine and especially in the field of Neurology. He has worked in various hospitals in Australia and New Zealand. His areas of interest initially included neurological disorders caused by the dysfunction of the immune system, for example, multiple sclerosis and neuromyelitis optica etc. He now considers himself a general neurologist who takes pride in helping the patients with a complex set of problems. He gives particular importance to listening to his patients because he believes that the diagnosis, in most cases, lies in the description of the symptoms volunteered by the patients. He tries his utmost to give ample time to patients to unhurriedly describe their complicated neurological symptoms. He strives to combine the science of Neurology with the art of healing in his clinical practice. By using simple jargon-free language and examples from everyday life, he makes sure that the diagnosis and the plan of management are understood by his patients. He has been working in a public hospital and in private clinics. He routinely looks after patients with epilepsy, Parkinson’s disease, headache, stroke and nerve diseases. He has been actively participating in teaching at the under and postgraduate levels. His most prized achievements are the notes of appreciation which his patients continue to express for him. She is a neurologist and a subspecialist in clinical neurophysiology and neuromuscular disorders. She obtained MBBS in 2005 with upper second class honors. After basic physician training at Frankston and Alfred Hospitals, and advanced training in neurology at Western and St Vincent’s Hospitals, she received Fellowship of Royal Australasian College of Physicians. Her subspecialty training was on Clinical Neurophysiology and Neuromuscular disorders at St. Vincent’s Hospital, Melbourne, where she had comprehensive training in large/small/autonomic nerve fibre testing, EMG sampling, single fibre EMG and tilt table testing. She has also had training on evoked potentials, sudomotor testing (QSART) and electroencephalography (EEG). She has been actively involved in research at both Western and St Vincent’s hospitals on stroke and nerve disorders. She is also a PALF (Palatucci Advocacy Leadership Forum) graduate of American Academy of Neurology (class of 2013). She also has a graduate diploma in public health from Deakin University (2010). Her teaching experience extends from medical students and basic physician trainees to advanced trainees in neurology at the state level. Dr. Jasinarachchi would be happy to see referrals for electromyography (EMG) and nerve conduction studies (NCS) including small fibre and autonomic testing. She will consult on neuromuscular disorders consisting of neuropathy, myopathy and neuromuscular junction disorders such as myasthenia gravis. She worked as a Consultant Psychiatrist at Peninsula Health for more than 10 years, so brings rich experience and knowledge. She is the Director at Dandenong Psychiatric Group. She has admission rights at Pinelodge clinic, where she provides both inpatient outpatient services. She has wide experience having worked overseas, regional area- Ballarat and in metropolitan in acute, subacute and community setting. She has special interest in adult women mental health covering a wide range of disorders including Bipolar, Schizophrenia, Depression and Anxiety Disorders. Dr Raghav provides consultations to clozapine patients who are in GP shared care. She also provides Mindfulness based techniques and psychotherapy for various psychiatric disorders. Dr Raghav has also been trained in Transcranial Magnetic Stimulation which has been an effective treatment in some of the psychiatric disorders. He is graduated from the University of Melbourne in 1998. It’s more than 18 years experience as a Speech Pathologist, Sarah has worked with a wide range of patients: in private practice and the public and private hospital systems, as well as Aged care. Her experience with Acute, Subacute, Rehabilitation and Community based therapy led her to become a principal associate for a leading private practice in Melbourne. She has now run her own practice “Speech Pathways” for over seven years. She also speaks to Universities and Drama Schools about Voice and Communication. Sarah has a high level of experience in assessment and treatment of swallowing difficulties (dysphagia), speaking difficulties (dysarthria, dyspraxia, dysphasia) and voice (dysphonia). She recently completed a several city tour of Australia through her national association Speech Pathology Australia. Her workshop was for other Speech Pathologists. “Practically Speaking” achieved high acclaim, as well as high degree of attendee satisfaction. Sarah is an Alumni member of the University of Adelaide, LaTrobe University and Victoria University. She is a member of the Golden Key Association, an exemplary accomplishment only offered to the top 10% of University graduates. Sarah is a classically trained Singer and Voice Over Artist, allowing her to combine the passion of art with up to date evidence-based science to provide exemplary care for her patients. She has 20 years of experience in the healthcare industry and is extremely passionate about patient care. She is responsible for the smooth working of the practice and is the link between staff, doctors and patients. Being a post-graduate in alternative medicine she is a strong believer in Integrated Medicine. Likes travelling and watching movies. Chloe has been in the medical industry for over 5 years completing Certificate IV in Health Administration and Certificate II in Business. She continues to expand the business and grow with the present times. She is always welcoming with a friendly smile and with a positive attitude. Chloe enjoys fitness, spending time with friends/family and travelling. Jenny has been with Dandenong Neurology & Specialists Group since June 2017. She is a health care professional working as an assistant of specialized procedures for A/Prof Sanjay Raghav. She has also been working as a phlebotomist, technician for one of the biggest pathologies in Australia since January 2014. Jenny enjoys every day working in the health industry and she is very caring, helpful and friendly with patients. Outside working hours, she loves spending time with her family and friends. On her free time, she enjoys reading, walking, swimming and watching television. He is an Ayurvedic Practitioner. He has earned a Bachelor of Ayurvedic Medicine and Surgery degree from University of Lucknow and Post Graduate degree from the internationally reputed Banaras Hindu University in India. Dr. Yadav is a specialist in the treatment of chronic illnesses, Kareli Panchkarma and neurological disorders. He has treated thousands of patients in India and Australia, many of whom were suffering from serious medical challenges. Dr. Yadav has a passion for combining Ayurveda with traditional medicine to treat a variety of diseases and improve the health of his patients. Arpita’s interest into sub-consciousness and it’s effect and important role in the field of mind and body healing motivated her transition from working in the corporate sector for over 18 years and to pursue her training in Clinical Hypnotherapy from the prestigious London College of Clinical Hypnotherapy (LCCH), UK & Asia. Arpita is trained and holds a Masters in Neuro Linguistic Programming (NLP) from the UK, certified by International NLP Trainers Association (INLPTA) the UK. She is also trained in using Time Line as therapy. Dental-Bruxism, Gagging, Fear of needles and more recently in movement disorders mainly Parkinson. She has actively worked as a therapist in Australia, UK, Singapore and in India to help individuals achieve their desired goals and outcome in a positive way. Arpita understands and appreciates diversity in individual thoughts, actions and behaviors and modifies and develops strategies to suit individual needs. Arpita is a Professional member of Australian Hypnotherapy Association (AHA) and is on the National Hypnotherapists Register of Australia, is also a member of BSCH (British School of Clinical Hypnosis) (Assoc), UK and abides by the ethical standards of the associations. Apart from the above, she has been involved in teaching, training and is also a tutor with the London College of Clinical Hypnosis Asia. She is compassionate and caring and works wonderfully well with children as well. Arpita provides initial consultation of 20 mins free of charge, to explain and any therapy related queries patients might have. 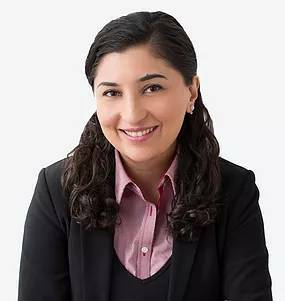 Dr. Niloufar Kirkwood is an endorsed Clinical Neuropsychologist. She completed the Doctor of Psychology (Clinical Neuropsychology) degree at the University of Melbourne. Niloufar has a wide range of experience having worked in numerous hospitals within Melbourne. She currently holds a senior clinical neuropsychology position in a large public hospital network in Melbourne. Her career has focused on diagnostic and geriatric neuropsychology. Specifically, assessment to assist with the diagnosis of dementia, in addition to evaluation of decision-making capacity. She also has a special interest in the provision of education and support in the context of brain injury and dementia. She is a strong advocate for patient-centered care. Neuropsychology Assessment: Lina Forlano BSc (Hons), MSc (Clinical Neuropsychology), Ph.D., MAPS, MCCN Clinical Neuropsychologist is a fully registered psychologist and holds an endorsement to practice in Clinical Neuropsychology. She is a longstanding member of the Australian Psychological Society including the College of Clinical Neuropsychologists and is also a registered Supervisor. Dr. Forlano has held senior positions in public health including Director of Neuropsychology at Southern Health and Principle Neuropsychologist at Alfred Health. She is the immediate past Vice-President of the Victorian Psychologists Association and has held honorary/adjunct clinical lecturing positions at Monash University and the University of Melbourne. Currently, in addition to private consultation, Dr. Forlano works for the Australian Health Practitioners Regulation Agency (AHPRA) whose role is to maintain training and practice standards for Australian psychologists. Dr. Forlano has over 20 years clinical experience spanning adolescent, adult and aged clients, across Neurosciences, medical, surgical, adult mental health, aged mental health, drug and alcohol, rehabilitation and HIV services. She has specialist assessment skills in surgical interventions for epilepsy and movement disorders, early onset and atypical dementias, language lateralisation and cortical mapping. 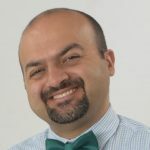 Dr. Forlano is also experienced in providing education, supportive counseling and focussed psychological therapies (Cognitive Behavioural Therapy and Mindfulness techniques) for anxiety, depression, adjustment disorders, and grief and loss. Malcolm has given much of his time and has shown great dedication to the public health service, in addition to his private practice. During his first 17 years as an ENT Specialist, Malcolm consulted in the Gippsland/Latrobe region at Latrobe Regional Hospital until 1997. He was then appointed to Monash Medical Centre and worked there as a ENT Consultant until 2017. He also commenced at the Royal Victorian Eye and Ear Hospital in 1989 and continued there until 2009. During this time, he secured the first stroboscopy unit, founded the first Voice Clinic in Melbourne and offered the only laryngeal botox service in Victoria/Tasmanian region. In 1992, he also co-founded the Melbourne Voice Analysis Centre, the first privatised multi-disciplinary voice clinic in Victoria and one of only three in Australia at the time. Malcolm continues as an Honorary ENT at Monash Health working with Professor Phil Bardin and the Respiratory Physicians, in a multi-disciplinary team at Monash Lung and Sleep clinic. This team specialises in the treatment of Vocal Cord Dysfunction, and other upper airway disorders. For his outstanding service to medicine as an ENT surgeon, Mr Baxter was awarded the prestigious Medal of the Order of Australia (OAM) in 2013. He was also awarded the Australian Society of Otolaryngology Head and Neck Surgery Society Medal for Distinguished Contribution to the Art and Science of OHNS in 2009 and the RACS Medal for services to the College in 1999 for the Pacific Island Project. He has been committed to the development and provision of ENT services in outreach Australian and in developing countries since 1991 serving as Chairman for the Foreign Aid Committee (ASOHNS) amongst other roles and responsibilities. 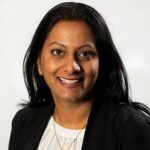 Vaishali is a Physiotherapist with nearly 20 years’ experience in injury and illness prevention and management, gained from working in a wide range of industries including Manufacturing, Financial Services, Aged Care, Local Government, and Higher Education. She witnessed the importance of applying the Biopsychosocial model, to positively influence the recovery trajectory of physical and psychological conditions. When the traditional medical model failed to assist with management of her disabling back pain, and success was achieved via self-application of a mind-body approach, she began to further explore evidence-based mind-body treatments. Utilising an educational approach, Vaishali teaches clients gentle, yet powerful movement and breathing techniques, which can assist with reduction or elimination of acute and chronic pain, injury, stress, fatigue and mental health disorders. Vaishali provides tailored coaching incorporating the Mind, Body, and Breath elements of Yoga and Feldenkrais Method, for an integrated approach, which equips clients with specific tools aimed towards empowering them on their journey towards optimal health and well-being. Memberships: Australian Physiotherapy Association (APA), Victorian Representative for APA Mental Health Group, Member of APA Occupational Health Group. Private Health Fund and Medicare Rebates (with GP referral under the Chronic Disease Management Plan) are available.